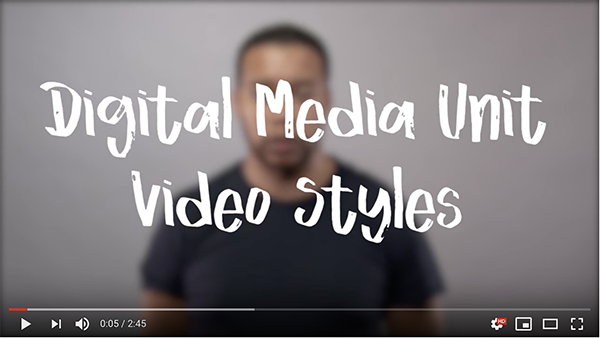 The Digital Media Unit is the video production team at CILT who are responsible for all video and audio aspects for blended and online courses. The team is made up of video producers and digital designers who work on all Massive Open Online Courses, formal online courses and light board shoots. The unit works closely with learning design team to produce all videos required for these courses. The unit is also responsible for CILT’s formal studio and the One Button Studio. These studios are used to record videos for courses. The unit is able to provide video production services for teaching and learning requirements. Please see rate card for cost of services. See the One Button Studio (OBS) page for some tips on using the OBS.